September 1992 An i486DX with the FPU part disabled or missing. Early variants were parts with disabled (defective) FPUs. Later versions had the FPU removed from the die to reduce area and hence cost. 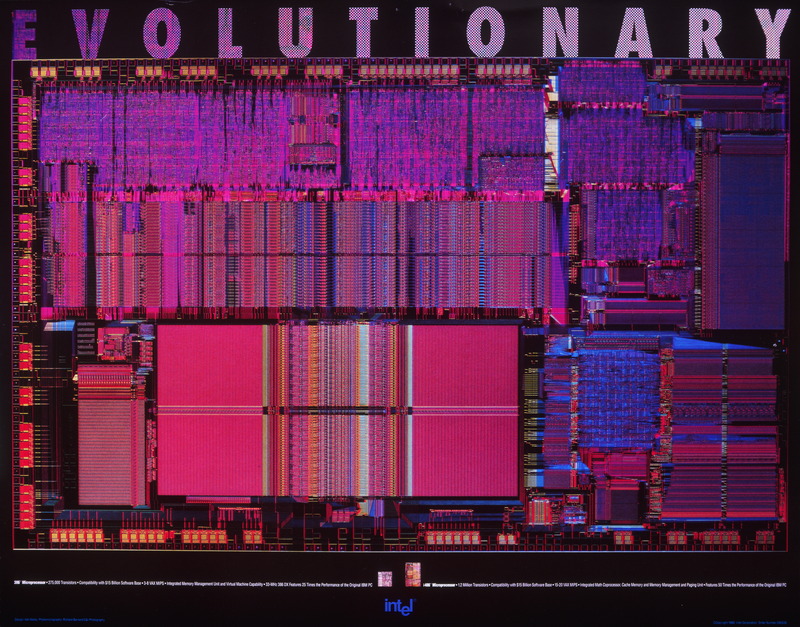 IntelDX4 (P24C) 75/25, 100/33 MHz 3.3V 16 KB WT March 1994 Designed to run at triple clock rate (not quadruple as often believed; the DX3, which was meant to run at 2.5× the clock speed, was never released). DX4 models that featured write-back cache were identified by an "&EW" laser etched into their top surface, while the write-through models were identified by "&E". i486GX up to 33 MHz 3.3V 8 KB WT Embedded Ultra-Low power CPU with all features of the i486SX and 16 bit external data bus. This CPU is for embedded battery-operated and hand-held applications. آخر تعديل لهذه الصفحة كان يوم 27 فبراير 2019، الساعة 13:05.